Cyrus Mistry ouster dents Tata group image: Why on earth is the board not giving a reason? Corporate governance and the Tata Group’s oft-stated principles of transparency, social and ethical principles have been so intricately meshed that the principles have become synonyms for the group. However, Monday’s incident of replacing Cyrus P Mistry with Ratan Tata in the interim for four months was an unusual step from the 148-year-old group. 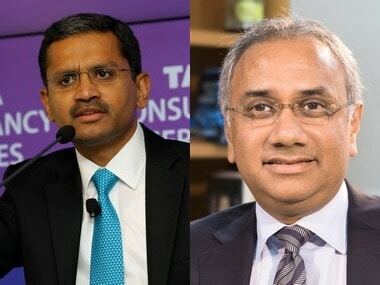 The Tata group is not known for boardroom battles that have ricocheted outside the iconic Bombay House, the headquarters of the salt-to-software conglomerate comprising of 100 companies spanning 6 continents. The abrupt decision to sack Cyrus Mistry will have long-term repercussions for the group, say analysts, stating that this is an 'unprecedent' decision and also an action taken against a former chairman. 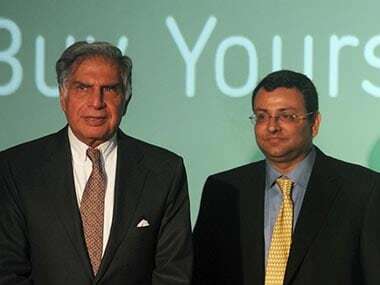 It raises serious concerns about the choice and grooming of Mistry who was handpicked by Ratan Tata after a 14-month period in December 2012. Many flay the manner in which Mistry was asked to leave. “The board handled the whole situation badly,” says Mohandas Pai, Chairman of Manipal Global Education. Pai says that by sacking Mistry, the board has 'condemned' him and there is no saying how he will retaliate – a potential situation that could have been avoided by extending the courtesies befitting the chairman of the over $103 billion global conglomerate. “The board has behaved in an arbitrary manner and it also smacks of someone controlling it. Six members decided to vote and two abstained. It would be interesting to know who abstained. I feel they must be old hands who did not want to vote against Mistry,” says Pai. Recent developments at the board points towards a 'coup' against Mistry, said an analyst. He said he was intrigued by the appointment of Ajay Piramal, chairman of Piramal Group and Shriram Group; and Venu Srinivasan – chairman of TVS Motor to the Tata Sons board just last month. “I feel the board has ganged up against Mistry as the majority members were supporters of Ratan Tata,” he said, adding Mistry did not stand a chance against it. Transparency, a principle associated with the Tata Group, has taken a hit. 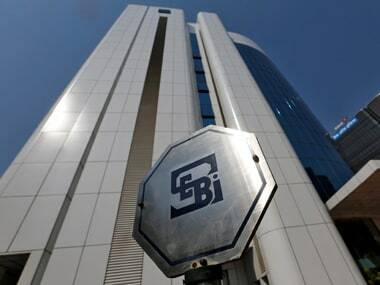 “There is an issue of lack of transparency in the way the whole thing has unfolded and with media reports suggesting that Mistry wasn’t informed,” says J N Gupta, former ED, Sebi. “If you were to look at the issue from the point of view of Mistry, he was not given a chance to explain and also was not given any notice period. This is against the law of natural justice,” he said. However, if the issue was to be seen through the lens of the board, it acted the way it did in the interests of all its stakeholders, says Gupta. “There has to be an earth shattering event for a chairman to be removed with immediate effect. No explanation has been given for the action, too." However, there could be other concerns that would have necessitated this abrupt snapping of the link. Since the company has not given any reasons, it has led to myriad assumptions. “For all the talk about culture and transparency the over 100-year-old company has been constantly reiterating, it has tossed that culture aside and seems to have adopted the American culture of hiring and firing. But Mistry was not an employee of the Group and was brought in from outside. Where is the genteel, transparent behavior that one associates with the group? You cannot treat your chairman in this manner, no matter what the circumstance,” says Pai. 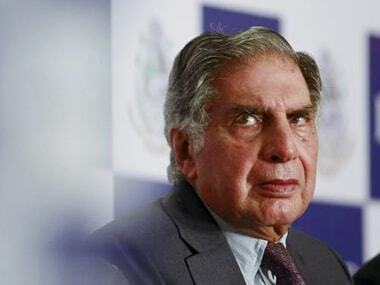 The fact that the board felt it was necessary to bring back Ratan Tata from retirement to hold the company together in the interim also speaks poorly about the company. “It shows that they do not have a succession plan in place. They have faced this situation earlier when Tata Motors Managing Director Karl Slym committed suicide and the Group had to look for a replacement,” said Shriram Subramanian, proxy advisor, InGovern. Pai says that when the rule of retiring at 75 years of age was laid down by Ratan Tata himself, he should not have revoked the rule. “But rules are not iron-clad,” points out Gupta. “Law is subservient to logic. The rule of 75 years for retirement was laid down with an objective to maximize shareholder’s wealth. However, there must have been some situation, which unfortunately the board has not been forthcoming about, that has necessitated this change,” says Gupta. Leaders at the helm have been called back after the end of their tenure before. It happened with IT major Infosys that brought back NR Narayana Murthy, the co-founder and former chairman. Pai, a former member of the board of directors, Infosys says that comparison is flawed. He reasons that Murthy wasn’t called back after someone leading the company was sacked. “Murthy was called as the company was not doing well and it needed expertise that only he could have provided. There was no precedent of anyone being fired. Also, Murthy was 60-years-old when he retired and he returned to Infosys seven years later." Will the reputation of the Tata Group be impacted because of the sacking of Mistry? Though all three – Pai, Gupta and Subramanian - believe it will, not all think it will have long-term effects. “It all depends on who the incumbent is and his/her performance,” says Gupta. “Public memory is short and no one will remember this incident,” he says. Since no explanation has been forthcoming yet from Bombay House on the reasons for sacking Mistry, Pai says it has led to speculation. “Mistry could not have been sacked for incompetence for what he inherited like Corus Steel and other acquisitions of the Group could not have been rectified in a span of four years. The group is saddled with issues, DoCoMo is another case in point. The Group Executive Council (GEC) formed by Mistry has been disbanded. He has been kicked out. 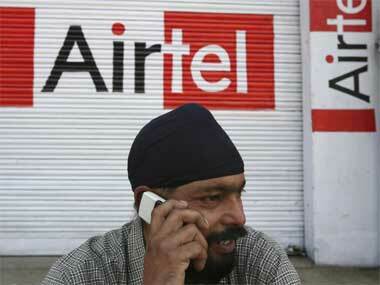 The reputation of the Tata Group has been severely jolted,” says Pai. The Tata Group has done `mean' things like taking off Mistry's interview from the company website, says Pai. "Why go to these lengths to erase the chairman's name?" Gupta terms this erasing of Mistry's interview as `childish'. "If you burn history books, Akbar would not cease to exist. This is petty and reflects vendetta or childish behaviour. It is like the ostrich who buries its head. The problem does not go away by doing that," says Gupta. Subramanian agrees with Pai’s thoughts and says that not giving a reason for expelling Mistry has tarnished the group’s image of transparency. “This will have long-term ramifications. However, a competent successor to Mistry can solve this issue,” he says. Pai feels that is a tall order for he says the incumbent would be worried about who he has to face in the boardroom at Tata Sons. “The group needs a fresh, young approach and that is not possible if they won't let new ideas and people to take independent decisions, as is evident in Mistry’s case,” says Pai. 1Cyrus Mistry ouster dents Tata group image: Why on earth is the board not giving a reason?